Set Your Phasers On Loser! Build this theme park near the boarder and have the patrons do all the work! Where was something like this when I was a kid playing with my Tonka Trucks? 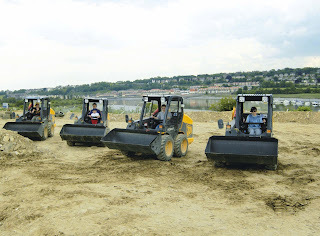 The UK's largest specialist excavator hire company, Diggerland welcomes you to four parks. 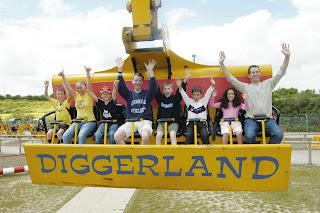 Diggerland guarantees a fun filled, exciting, action packed day out for kids and adults of all ages. 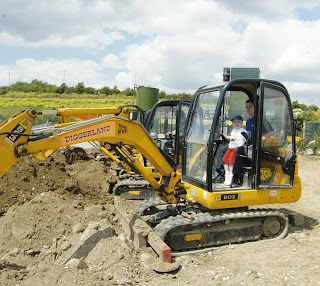 Children (and adults if they wish) have the opportunity to ride in, and drive, different types of construction machinery including Dumper Trucks, Mini Diggers and Giant Diggers (all under strict supervision).